Biodynamic Craniosacral Therapy uses the model of the embryo to approach and define health. The body system has a natural tendency to homeostasis or equilibrium. When the sperm and egg come together to create the embryo, the forces that differentiate, separate and define us as human beings create the forces of intelligence or health. These forces are still at play and create an endless process of redefining our state of well - being. This work is based on the later teachings of the originator of Biodynamic Craniosacral Therapy the great osteopath William G Sutherland and in the phase exemplified by the quote “Be still and know.” In his early work Dr. Sutherland work was more mechanical based and on his observation he noticed the movement of the bones of the skull, the movement and the membranes and when they were in alignment and when there were lesions and their effect on the individual. He also notice that there was a movement of the cerebral spinal fluid in the dural tube and throughout the skull and there were rhythms and they could be used as diagnostic tools as well. He also developed various palpating skills and tools to support the body back to health and homeostasis. It is on this period of his life that the Craniosacral work of John Upledger is derived from. Later in life he started to see that these interventions were at times traumatizing the system and though still often effective not as effective as the ability with all the knowledge and skills to step back and wait. To “be still and know”, and the work started to be more about allowing the system to settle into and neutral and to gently unobtrusively observe and to his surprise this connection to neutral, stillness and health from the neutral minded practitioner and working by observing the forces and potency at work ended in more profound results and no traumas. The work coming from Dr. Sutherland to Dr. Becker and other and in present day to teacher as Franklyn Sills and finally Dr. James Jealous who coined the name Biodynamic Craniosacral therapy. Biodynamic Craniosacal therapy has been called a practitioner oriented therapy since it is the state of the practitioner the supports the unfoldment of the session and the healing process. The Breath of Life is the foundation to Biodynamic Craniosacral Therapy. The breath is the life force that connects us to our core and being. It is the basis of our health and works as a therapeutic technique. The slowness, consistency, tidal movement and subtle motion resemble a deep inner breath recognized as “primary respiration (PR)”.This is sensed through the whole body and is an ordering and organizing principle with the intelligence of body and mind. The therapeutic techniques offered with Biodynamic Craniosacral Therapy work begins with contacting and cooperating with the breath of the client while opening to the needs of the client. The trained practitioner can connect to the breath as a guide for evaluation and treatment. Through the ability of the practitioner to orient to neutral, dynamic stillness, and the original matrix of health it invites the system of the client to orient in that direction as well and facilitates the healing process. The analogy that is often used is lighthouse that guides the ship home. The practitioner has a very thorough knowledge of the body such as the quality of the nervous system, the levels of potency in the body, the classic movement of bones especially in the skull and when there are lesions and various lesion patterns. They are also aware of the movements of the membranes and various lesions and holding patterns as well as many other anatomical, physiological aspects of the body. Yet in Biodynmaic Craniosacral Therapy the forces of health use the knowledge and skills of the practitioner to support the natural healing of the body as the therapist is a neutral observer. Only as a last resort will the practitioner use some intention to facilitate the healing and has full knowledge of how to do that and yet in nearly all cases the perceptual skill combined with neutral is more effective and less invasive. There is knowledge and ability to tune into various aspects of the fluidic body as well as the rhythms of the Craniosacral and cerebral spinal fluid such as midtide, longtide, dynamic stillness and the perception of health and transparency. 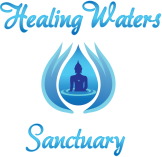 During the healing session, the healer remains neutral and guides the clients’ system into a state of neutrality. This state opens the body, mind and spirit so healing forces can impact the system. These natural movements are responsible for creating a deep sense of relaxation in the body and works as a connection between the mind and body to offer a deepened sense of relaxation and trauma release.